It is easy to find fault with the Department of Veterans Affairs (“the VA”), particularly when it comes to Veterans with PTSD. Secretary of Defense, Robert McNamara, tried to employ body count statistics to assess our progress in the war in Vietnam. Similarly, the VA has erected a statistical house-of-cards to deceive Veterans and their loved that the VA has the answers for Veterans coping with PTSD and TBI. Sadly, it is no laughing matter when we consider the thousands of combat Veterans suffering from PTSD and TBI. More importantly, reflect on the often tragic consequences for their families and loved ones. While Congress and the public continue to be seduced by the steady stream of assurances that the VA provides the best possible care to Veterans with PTSD and TBI, the FACTS tell a far different story. – Prolonged Exposure Therapy (“PET”). As these “therapy” programs have failed miserably according to independent studies (see below), the VA has “coped” with the problem by prescribing a lethal concoction of prescription drugs which treat the symptoms of PTSD rather than deal with the underlying problem. And we wonder why we have an opioid epidemic in this country? The story of Kimi Bivins is not the exception to the type of treatment Veterans with PTSD receive at the VA. Based on many similar stories, the VA is failing our Veterans and their loved ones. I encourage readers to read Kimi’s harrowing description of what actually takes place at a VA facility. While the folks at the VA casually dismiss anecdotal stories, VA claims that Veterans receive the best therapy possible is simply not supported by the evidence. No less of an authority that the National Academies of Sciences (Medical Division) reported in a 2014 study entitled “Treatment for POSTTRAUMATIC STRESS DISORDER in Military and Veteran Populations,” that CBT and PET barely made a statistical dent in providing Veterans with PTSD any lasting improvement in their condition. Consider Maj. Ben Richards‘ compelling evidence documenting the failed experiments at the VA in helping Veterans with PTSD. 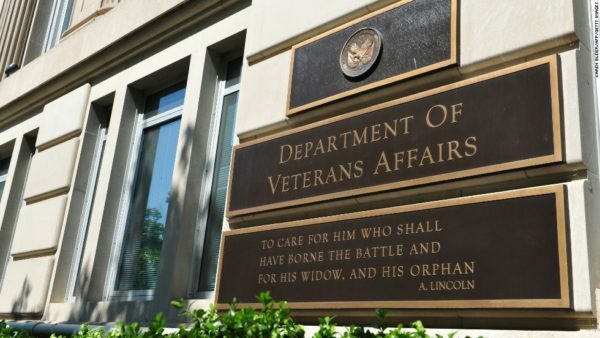 Standing behind a well-entrenched bureaucracy of statistical inaccuracies and dogma, the VA goes out of its way to discredit other treatment alternatives. Consider this bitter “scientific” debate between Dr. Cifu and Dr. Paul Harch on the efficacy of hyperbaric oxygen therapy or HBOT in treating PTSD and TBI. Finding a Middle Ground for Veterans with PTSD? With so little known about the brain and how to treat trauma, it seems absurd for the VA to insist that they have all the answers. The evidence clearly suggests that the VA doesn’t have a clue. Nevertheless, the VA argues that “alternative therapies” that do not pass scientific scrutiny and FDA approval will not be endorsed by the VA. As we have seen countless times – from body armor testing to hyperbaric oxygen studies – the DoD uses test protocols that deviate from accepted standards. If the tests are flawed, one is likely to draw the wrong conclusions! For the vast majority of Veterans with limited economic means, the VA is effectively making life and death decisions based on flawed testing and a reluctance to embrace other treatment alternatives. This is probably done with the intent of protecting Veterans from charlatans and snake oil peddlers, but doesn’t it also block Veterans from receiving promising therapies from legitimate sources? When dogma or “approved” therapies become the LAW, then it seems unlikely that much progress will be made to help our brave Veterans recover their lives. The VA would do well to encourage Veterans to seek alternative therapies and provide an interactive sounding board for Veterans to voice their opinions on these programs. Honesty and transparency and a willingness to accept mistakes is the sign of a responsive institution. Today, the VA hides behind a dogma based on self-delusion and falsehood.